Blended by hand in Texas. 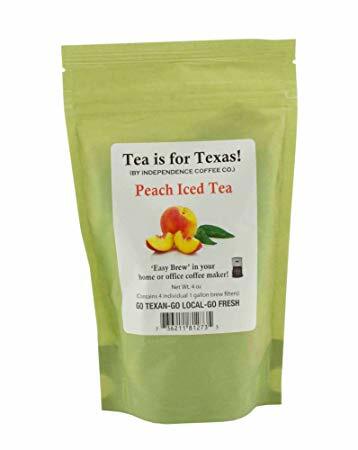 Peach flavored iced tea that you can brew in your home or office coffee maker. It will remind you of your favorite Fredericksburg Peach stand! Brew and add cold tap water. Each filter pack makes up to 1.5 gallons of fresh flavorful iced tea! Includes two filters.